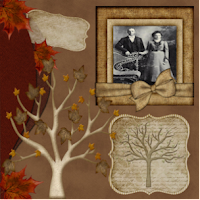 Do you want to create a Heirloom Family Scrapbook album featuring your Family heritage? You have photos, memorabilia, documents and the many hours of family research that you have collected. So why not make a beautiful Heirloom Heritage memory Book? Digital scrapbooking allows family researchers the opportunity to create and preserve their heritage in a beautiful heirloom book. When you see the beautiful results of digital scrapbooking you will want to share it with your loved ones as special family keepsakes. 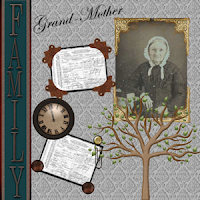 A digital heritage scrapbook is easy to share, you can print, burn CDs or e-mail copies to your family. 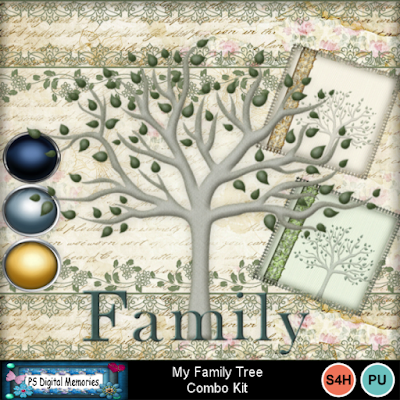 The My Memories Suite Software is perfect for designing your Heirloom Family Tree Scrapbook. 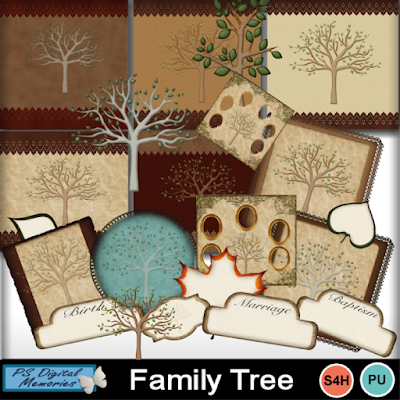 Every month in the forum I host a Family tree Heritage Scrapbook challenge and all participants receive Free gifts. 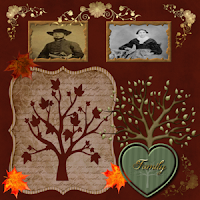 We will be venturing through the past into History to bring your Family Roots to life, telling a beautiful life story through Scrapbook pages of your family. We will all discuss share and discover resources and history together. 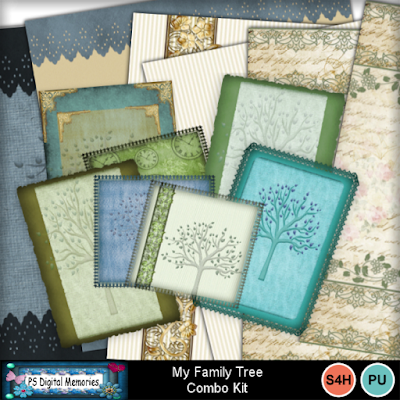 Ready to get started with this month’s challenge and receive your FREE MY FAMILY TREE Combo kit? 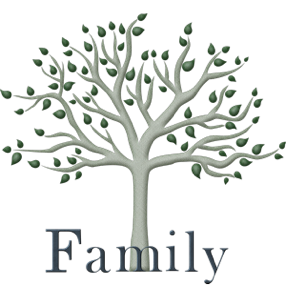 The easiest place to start is with your immediate family. 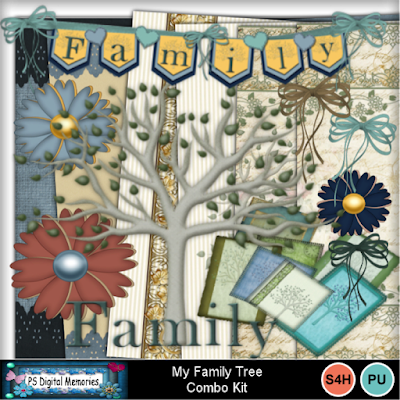 Create a Scrapbook page for your immediate family, your spouse & your kids. If you are not married yet don’t worry make a page for yourself with your Parents and siblings. journaling things about yourself and family. Bring your pages to life with photo’s, embellishments, and journaling stories about your family. Then simply head over to the Forum and post your beautiful layout and receive your FREE participation gift. Join the fun in the forum. 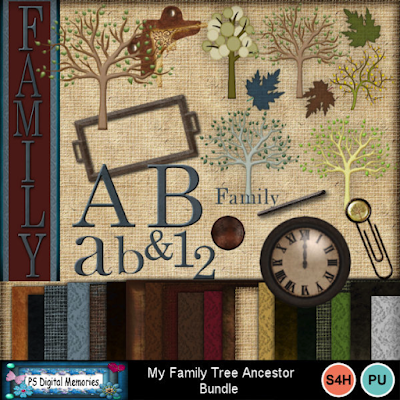 Visit PS Digital Memories for more Family Tree Scrapbook kits. Check out these collections now available in my Memories Shop. Do you need My Memoriessuite 9 software?